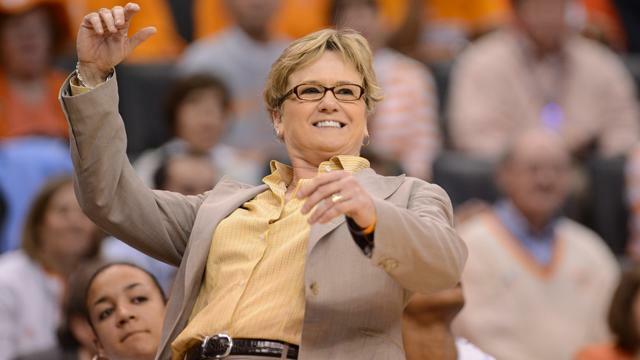 Tennessee women’s basketball coach Holly Warlick was replacing a legend and also her close friend. The pressure from replacing a legend, like Pat Summit, would make others melt in their first year with the program. But with Warlick, that was not the case. In fact, Tennessee went on to win the Southeastern Conference (SEC) regular season title. They also went to a regional final in her first year at the helm of replacing Summit. With her success early on, the college has rewarded her with a new contract. She will receive a one-year contract extension and a raise of $65,000 dollars. She will not be under contract with the college through March 2017. And she will now be payed an annual salary of $550,000. The contract extension was first reported by the Knoxville News-Sentinel on Tuesday night. She went 27-8 in her first season, and also won the Maggie Dixon Award, which is given annually to the top Division 1 rookie coach. While Warlick was a rookie head coach, she was no stranger to the Tennessee program. She played for Coach Summitt, then spent 27 seasons as an assistant coach under Summit.